Chain link offers all of the security and safety benefits of any other fencing while being the most economical. Vinyl fencing is a good neighbour fence that is available in a variety of styles including picket fence, horse ranch rail fence and privacy fence. Ornamental fencing is a steel picket fence available is 3 styles – classic, genesis and majestic. Penticton Fence Company – Gold Star Fencing Ltd.
You have worked hard to make your house become a home. A place that is comfortable, functional and welcoming. It is very important to have the right fence to complement your home. And, there is nothing more important than having the right company, to make sure that fence is installed correctly. 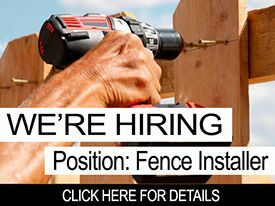 This Penticton fence company, Gold Star Fencing, is the right fence company for you! At Gold Star Fencing, our number one goal is customer service and satisfaction. We use quality fencing materials to make sure your fence will perfectly accent the home where your heart is. From the smallest residential to largest complex industrial fence projects, Gold Star Fencing provides professional installation services. Our service area includes the South Okanagan and Similkameen areas of BC. We pride ourselves on our five-year warranty on materials, and our one-year warranty on labour. Our customers say we are the best at fencing in Penticton. We say we have to be. It’s our job! 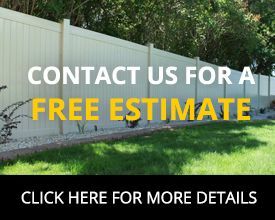 Contact us for your next fencing project! Let us help protect your family or business. We love our fence and all ur neighbours have commented on how nice it is. The boys that installed it were excellent and were very accommodating. I would definitely recommend this company to anyone who needs fencing. Thank you. I just wanted to express my appreciation of your talents in fence building. Thank you for all the time and effort that you put into our new fence. We are s pleased to have a good strong fence so our dogs can run and play in the safe environment. Thank you also for having your team available to remove the debris of the old fence. Goldstar Fencing rocks!!! We and our neighbours love the fence. A big thank you to the fellows who did the work. They were very conscientious, diligent, and courteous. Many thanks.